Continuing the youth leadership formula that we have seen work so well, we found funding through the department of transportation to pursue the national Safe Routes to School program, engaging Green Forest students and utilizing teen leaders as peer presenters and group leaders. Safe Routes to School encourages students who live near their school to walk to class rather than ride the bus or have their parents drive them. There are multiple benefits, including giving kids a fun and healthy activity that ensures they arrive for class alert and ready for a great day. After a successful first year, we were funded to write a kindergarten thru high school curriculum replicating what we taught in phys-ed classes that conforms to state frameworks while instilling the Safe Routes to School concepts of walking for fun and health. We also produced eight videos to go with lessons. What is the Safe Routes to School project? 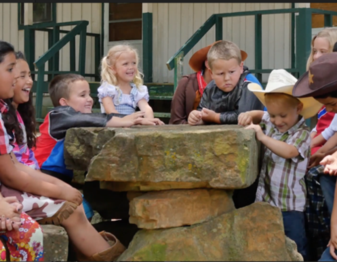 Click HERE to watch "BULLIES, ZOMBIES & HEROES: The Safe Routes to School Movie" filmed and produced in Carroll County ... as a hilarious group of kids learn how to walk to school safely! well as why walking to school is fun and healthy. Utilizing teen leaders to lead "walking school buses" in which pre-teen students met at a central location then walk to school together. Rewarding participants through a variety of incentives, including recognition and awards. What about that national curriculum the Carroll County Resource Council created and tested? Take a look at some of the projects we've helped fund.